If you want to create a invoice without any software there are hundreds of tools available on internet. But i am not sure all tools are best and free. 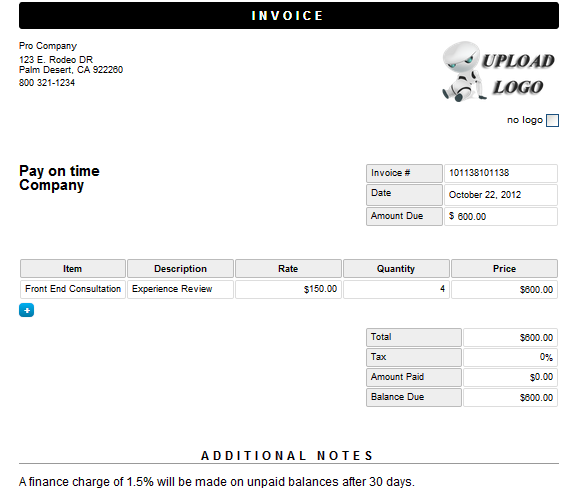 But here I posted 5 best online invoice creator tools for free. Robo invoice is a 100% free tool to users can create a printable and downloadable invoices online. Users can Print, Save and Download as PDF their invoices. You can add columns as you want. Supports multiple currencies like Dollor, Euro and more. Robo invoice tool available on Chrome Store.